How long before a custom team order ships? 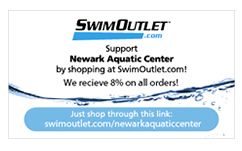 Swimoutlet.com has a wide range of tools to help you drive business to your Affiliate site! Take charge and maximize your organizations earnings by using our free tools. 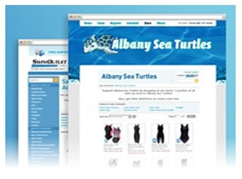 We have over 70 digital website banners of different sizes and designs for you to choose from. Put them on your team website or send to your community by email. You receive commission on all orders generated through your team website banner clicks. 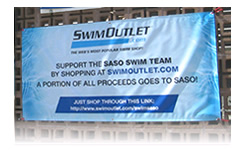 We provide a FREE customized waterproof vinyl banner for you to hang at your pool or facility. The banner includes your team's affiliate URL! This banner can be out year round or hung up at tournaments to remind the entire team, parents, and pool visitors to support your team by shopping through your team affiliate account! Let people know to shop through your team affiliate account by passing out customized business cards. The more people in your network supporting your team, the more money you'll make! We'll print the cards and mail to you FREE. The SwimOutlet.com Team Store is a new feature that lets you build your very own online store in minutes. It can be embedded on any website or SwimOutlet.com can host it for you! Offer your own unique assortment of Custom Team Gear! Earn money as parents and team members order custom suits, clothing, and more directly from your Team Store! 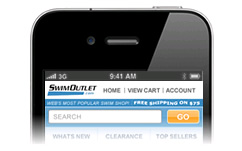 Check out the mobile version of SwimOutlet.com on your smartphone at m.swimoutlet.com! Parents, fans, and players can shop using the team's url right there on the pool deck! Our mobile site is compatible with iPhone, Android, and BlackBerry.